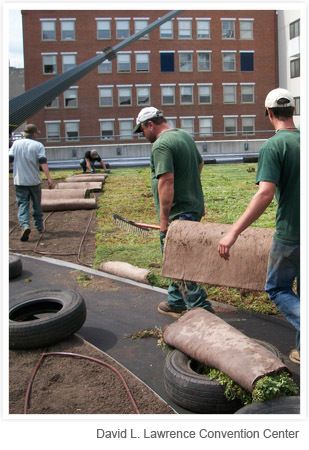 Eisler Nurseries built its first green roof in the 1950's at Mellon Square in downtown Pittsburgh. In those days, they were called plaza plantings, and green was just a color. 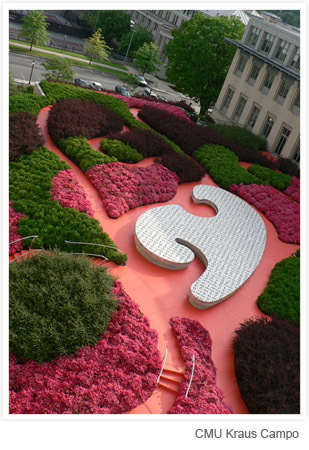 As the envrionmental movement grew and evolved, so did green roofs and our intrest in them. 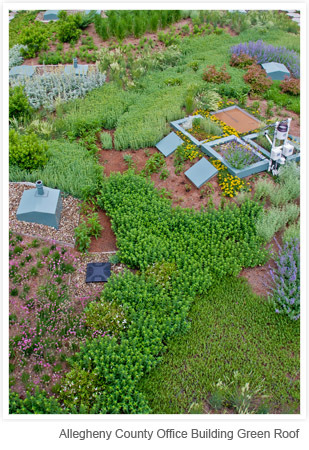 Today's green roofs look nothing like their forerunners; they aren't just pretty, they have multiple economic and envrionmental benefits as well. 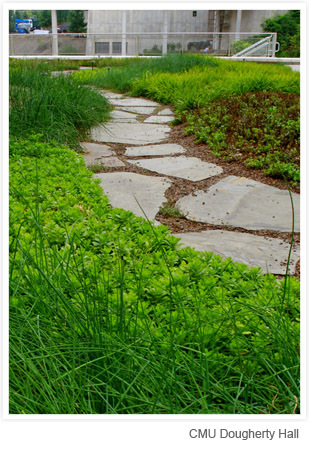 We have a highly qualified team with extensive experience in both green roof design and construction. 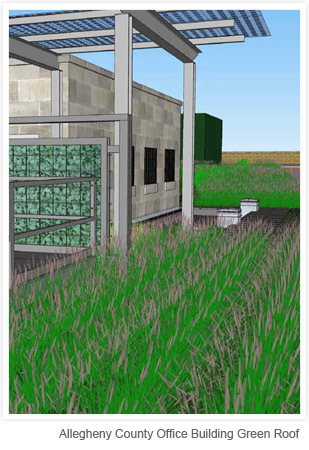 Eric French, PCH, Jeff Genter RLA, GRP (Green Roof Professional), and Brody Little, MLA have designed, installed, and provided consultation on a wide variety of green roofs in Western Pennsylvania. 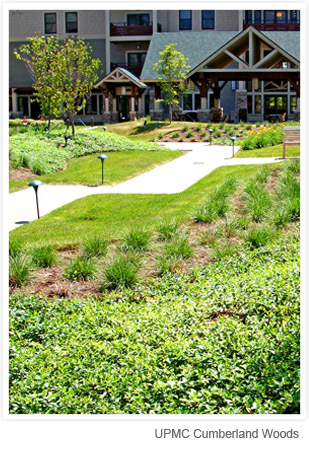 To date, we've built over 112,832 square feet of green roofs on many local buildings. 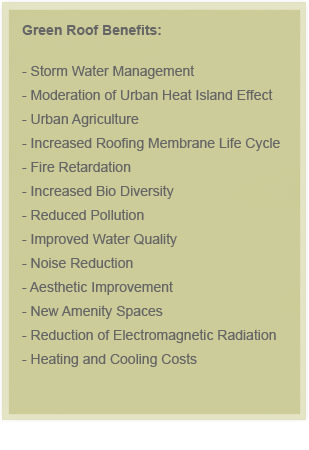 Please see our portfolio for more details on our green roof projects. 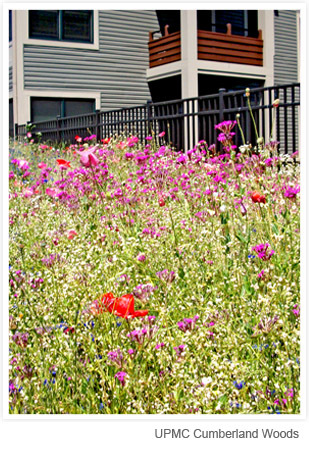 Click here to see a Video about the greenroof at the David L. Lawrence Convention Center.